Micro filtration is key to making our higher ratio of isolate protein work harder for you. The cross-flow micro-filtration process removes the larger, less-absorbable protein molecules while also filtering out fat, lactose and ash that can be present in whey concentrates and substandard protein powders. 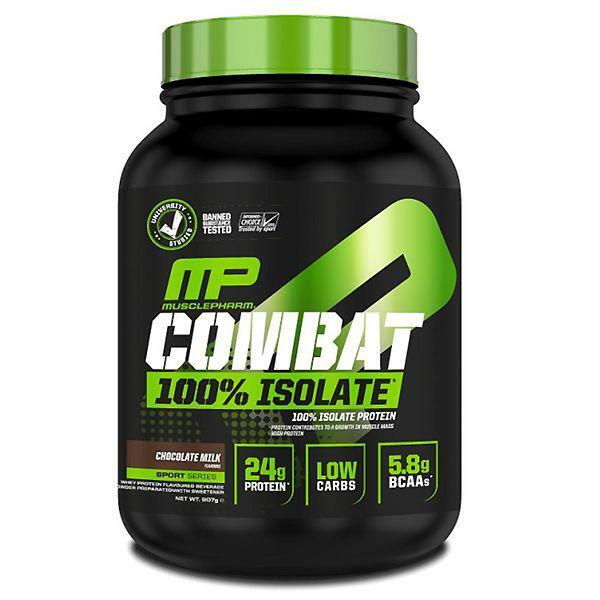 As a dietary supplement, mix 1 scoop of COMBAT 100% ISOLATE™ with 180-240ml of cold water, milk, juice or any beverage of your choice. Vary the amount of water to achieve your desired consistency and taste. To increase your protein intake per serving and to achieve an amazing milkshake taste, use non-fat or low fat milk.